Darren Groth‘s new novel is Exchange of Heart (Penguin Random House Australia). 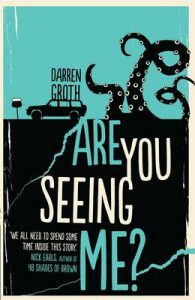 This is the second of Darren’s wonderful YA novels I’ve read. Where are you based and what is your current role, Darren? I live in Vancouver. My current role is husband, father, provider and fiction scribbler. How involved are you in the YA community? Not as much as I used to be when I was a teacher. My 16 year old twins keep me connected to today’s kids, though. Could you tell us a little about your early books? Well, they’ve all disappeared, sad to say. However, I’m proud of them and each one was notable in its own way. My first novel, The Procrastinator, got my first personal, positive rejection (still one of the very best feelings I’ve ever had in my career); my second novel, Most Valuable Potential, was shortlisted in the Queensland Premier’s Literary Awards; my third novel, The Umbilical Word, secured my wonderful literary agent; and my fourth novel, Kindling, picked up my first contract with a major trade publishing house (Hachette). I reviewed your excellent previous novel, Are You Seeing Me? 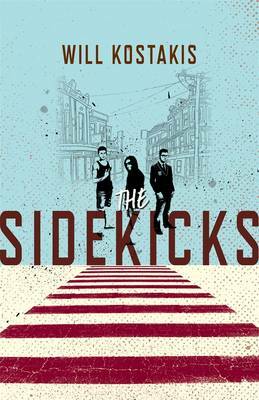 for the Weekend Australian http://www.theaustralian.com.au/arts/review/misfits-and-misadventures-abound-in-latest-young-adult-fiction-books/news-story/12de0e5706bdc33fc03255e5660b2231. Could you briefly describe the two major characters and reveal who appears in your new novel? Thank you for your kind words, Joy. The protagonists of AYSM are twins, Justine and Perry Richter. Justine is smart, well read, neurotypical and the sole carer of her brother. Perry is smart, sensitive, neurodiverse and hopeful of “freeing” his sister. Perry makes three appearances in the new novel, Exchange of Heart. It was a real treat to connect with him again. 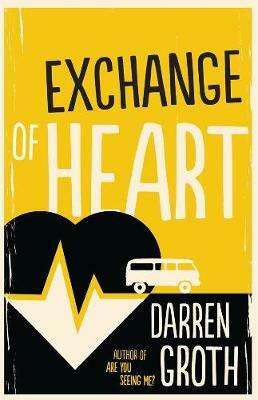 What is the significance of the clever title of your powerful new novel Exchange of Heart? Exchange of Heart captures what this novel is all about, both literally and thematically. There’s a lot to unpack; it makes sense at a surface level then becomes deeper and richer the further you delve into the story. Like all good fiction, I need to have told a good tale in order for the work to be assigned any importance. If readers feel I’ve told a good tale then there is some food-for-thought that can be discussed. PTSD in young adults, treatment of the intellectually disabled, use of the R-word, mental health of refugees, among others. In some ways, Exchange of Heart is a political YA novel. I embrace that label. Could you tell us about your complex major character, Munro Maddux? I love Munro. I think he’s the best character I’ve ever put down on the page. So many qualities about him that I admire – his honour, his tenacity, his nuance, his care. I love his wounded heart. Unlike many other characters I’ve written, he’s not an open book. He’s not ‘all the feels’. That’s very commendable in this day and age. The Coyote is less a ‘who’ and more a ‘what’. It’s a voice in Munro’s head that’s constantly at him and it’s the most debilitating symptom of his PTSD-infused grief over the loss of his younger sister, Evie. Why Coyote? In North American First Nations/Aboriginal lore, Coyote represents ‘trickster’ medicine; it is a deceiver, not to be trusted. It was the perfect motif for Munro’s nemesis. What is the significance of the “-er” words? I was actually looking to create something self help-ish that was a bit cheesy. And the students of Sussex High, Rowan in particular, see it that way. In Munro’s case, though, his ‘er’ word – ‘better’ – was right on the money. You have a cast of minor characters who help create the assisted-living community setting. Who most pulls at your heart and why? It changes every day! Today, I’ll say Bernie because she seeks to protect her fellow Fair Go residents from discrimination and oppression. We need more Bernies in the world! What would you like to see change or improve for those in assisted-living communities in the near future? The programs that served as inspiration for my fictional Fair Go – Youngcare in Australia and Bittersweet Farms in the US – are wonderful examples of what is possible with assisted living. If there is one thing I would like to see in all situations of supported care, it is residents having a say in their work, their play, their passion, their collaboration. Generally, having agency in their lives. Having lived and been flooded in Brisbane myself, your descriptions of place such as Walter Taylor Bridge and South Bank resonated strongly. Where is a significant place in Brisbane for you? There’s a few. Mum and Dad’s house in Mitchelton. Milpera State High, where I taught for almost ten years. Lang Park (I still can’t call it Suncorp Stadium). My grandmother’s house in Hawthorne which, sadly, no longer exists. Why the quote from Leo Tolstoy and why did you incorporate the novel Picnic at Hanging Rock into the novel? The Tolstoy quote, I felt, summed up Exchange of Heart perfectly. The love of others is the catalyst for Munro to forgive himself and heal. 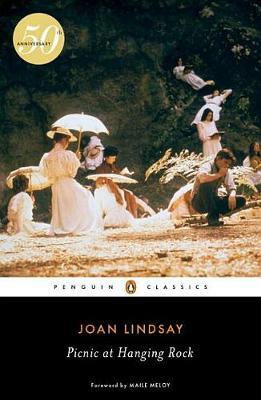 Picnic at Hanging Rock is a fascinating story for me, not the least of which for its commentary about the treatment of the intellectually disabled. I’ve got a number of books on the slow-go. Will Kostakis’ The Sidekicks (great guy, marvellous book), Strange Magic by Syd Moore, who just happens to be my quite brilliant sister-in-law; George Saunders’ Lincoln in the Bardo; Justin Cronin’s City of Mirrors; and, as a nod to my recent trip back to Bris-Vegas after seven years, I just finished Three Crooked Kings by the mighty Matt Condon. Thanks very much, Darren, and all the best with Exchange of Heart and your next book.